Produktinformationen "Spudnik Reflektor mit Glasplatte 125mm"
Choose SPUDNIK — Because Every Inch Counts! 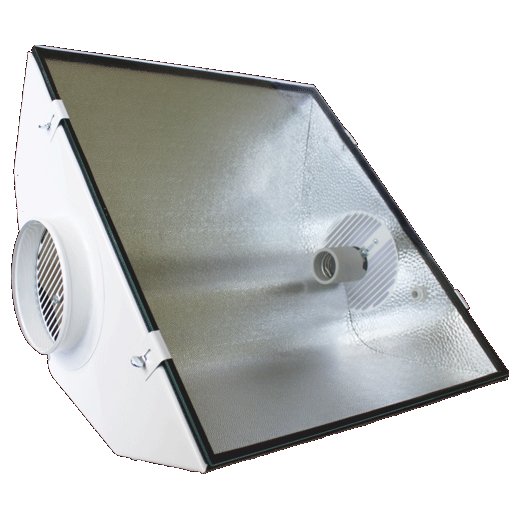 This SPUDNIK reflector is compatible with 125mm (5”) ducting. Customers simply attach a Prima Klima inline ventilation fan to blow cool air over the lamp, cooling the light fixture and allowing the hot air around the lamp to be ducted out of the room before it gets a chance to create heat issues. The SPUDNIK has been the choice of the professionals for years—with a hugely efficient reflector shape complete with an incredible 97% reflective VEGA/MIRO9 insert, the SPUDNIK simply will not be outshone by any other air-cooled units. Weiterführende Links zu "Spudnik Reflektor mit Glasplatte 125mm"
Kundenbewertungen für "Spudnik Reflektor mit Glasplatte 125mm"